This cardigan is worked from top to bottom with a positive ease. It can be worn open or closed with a shawl pin. 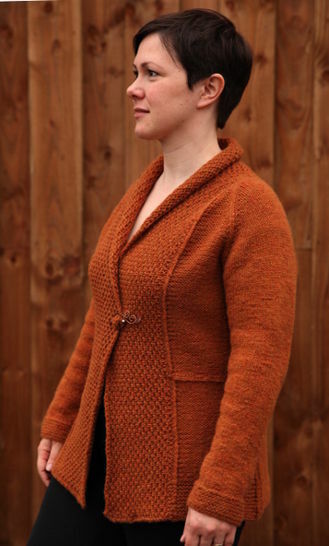 The collar is worked perpendicular to the body with a fluffy brioche st and you can adapt its width. You can mark the waist using different options : with crochet chain st embroidery or twisted stitches but you don't have to mark the waist.